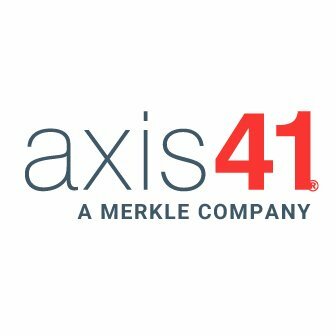 Axis41, a Merkle Company, is a Salt Lake-based Utah advertising agency, with a marketing and communications focus, that combines strategic planning, brand management, graphic design and web development technologies to deliver integrated marketing solutions for their clients. Axis41's Brand services help you tell your brand's story through branding design and motion graphics. Their brand story experts build a consistent brand voice, speak with authority and captivate your audience. Axis41's Campaign services include discovery & strategy, building a marketing campaign, full-service marketing, and experience & optimization. Axis41's Strategy services include market analysis, brand positioning, communication planning, and user experience. Axis41's Technology services include CMS implementation, managed services, presentation layer, and mobile development.